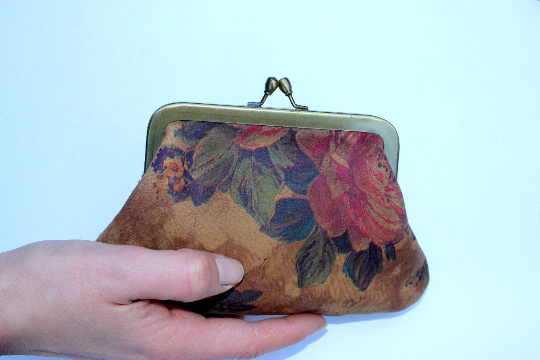 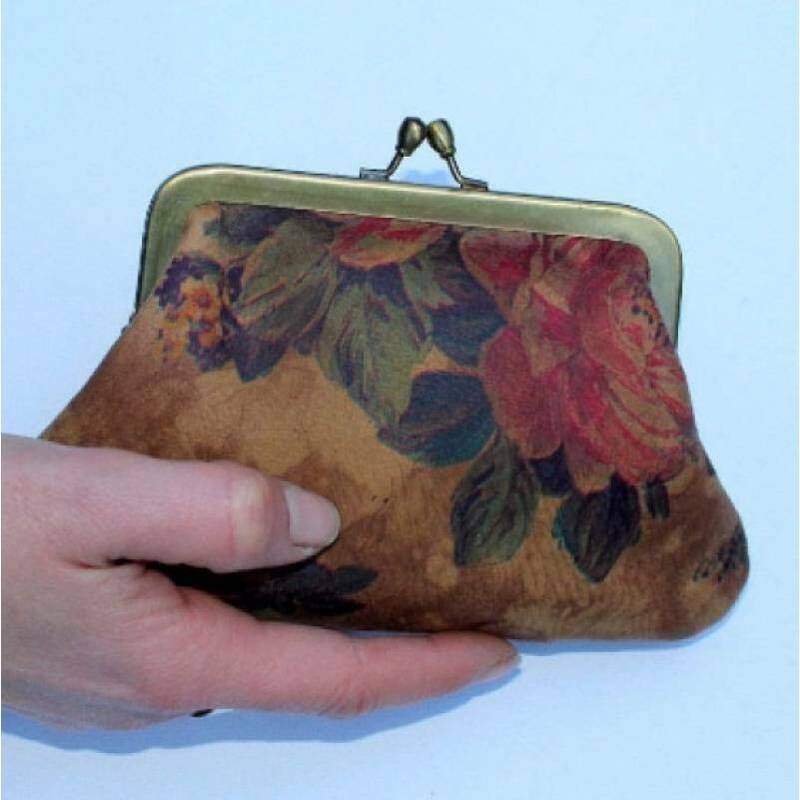 This vintage inspired money purse in beautiful floral print leather measures 18x 11.5 cm. 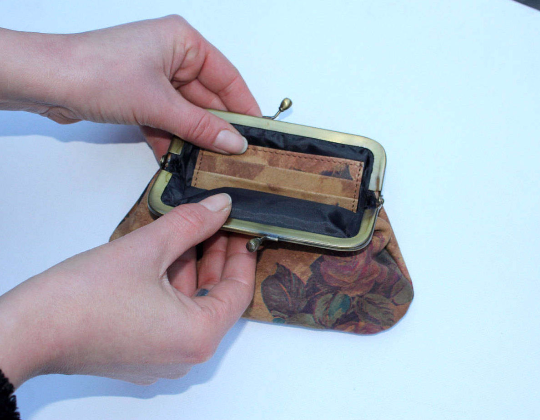 Its frame opens completely flat and has three leather card slots inside plus a resistant waterproof lining. 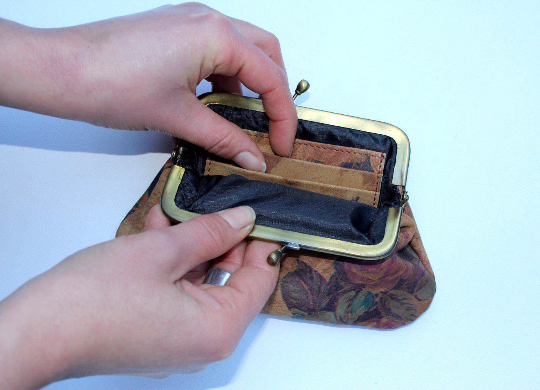 Perfect to use as a classy wallet where coins, notes, cards and keys can be easily carried, amazingly light.